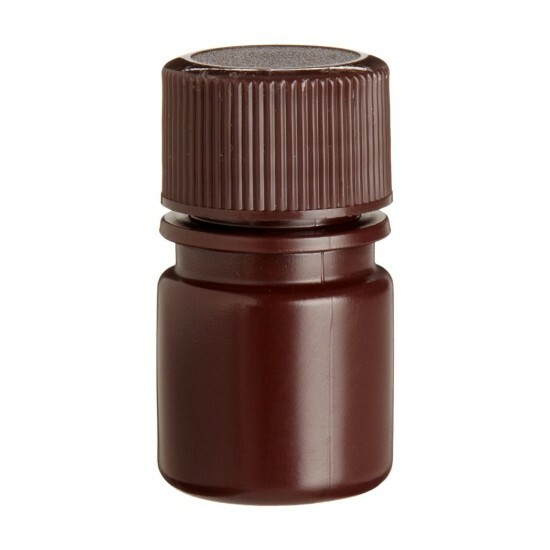 Ideal storage bottles are Amber in color to protect light-sensitive samples and constructed of High Density Polyethylene (HDPE). They are designed with a special pour lip to facilitate safe, clean dispensing and include a double-seal closure for leak-resistance. Will hold 1/4 fl oz.